You're not buying a product ~ you're building a life. The home buying process has many more steps and turns than simply opening a door and showing a house. We emphasize the effort of taking the time to get to know you and your family and what is most important to you and your life. We provide detailed needs and wants analysis to help you determine what it is that you truly want in your new home and lifestyle. Working with you and mortgage professionals to analyze budgets and benefits of communities, schools, amenities and specific homes to take a wide array of properties and laser focus the right home to be your luxury oasis. Allow us to walk you through the benefits of working with a full-time professional REALTOR® and why the experience is decidedly different with the Jim Wells 'Sells' Team. Home of Georgia. Let us make it easy searching ~ and finding ~ with us. 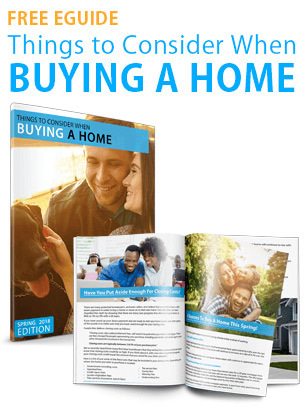 Buying a home should be one of the greatest experiences of your life. Allow our team to show you why it pays to have our experience. At the Jim Wells 'Sells' Team we are dedicated to serving out clients as your professional REALTOR® consultants to help serve you with both buying and selling for all your real estate needs. We would love to take the time to share with you about our newest program to serve our valued Buyers very Well(s)! As your Buyer’s Broker Benefit Bonus (B4) to you, when you purchase a home listed for sale with us as your Buyer’s Agent it costs you nothing! As a matter of fact, we do such volume and feel strongly enough about serving our clients so well that we will actually PAY YOU to be your Buyer’s Agent!!! That’s right! We’ll pay you! There are just a few requirements that we are happy to review with you, but suffice to say we love to exceed your expectations. We also have a dedicated team to ensure the buying process is a great experience and smooth from start to finish. We provide clear communication and go beyond to explain the Buying process and best business practices, to provide you excellent and timely responses to ensure you can grab the home of your dreams when it comes available, and we have a dedicated team to helping all the way through the contract to close process to smoothly navigate the negotiation, inspection, appraisal, amendment, closing, escrow, and move-in efforts. We are a full service concierge group providing a complete suite of services to help you home. So .. B4 you Buy, and before you think about working with someone else, contact our team of professionals to see how it pays to have our experience! BTW - Do you have a house to sell first? Fantastic! The Benefits and Rewards are even BETTER! 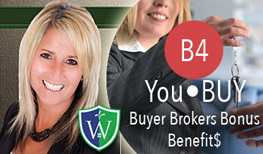 Learn more about our (B4)-U Buy Buyers Broker Benefits Bonus program. Remember - B4 you buy, it pays to call us!